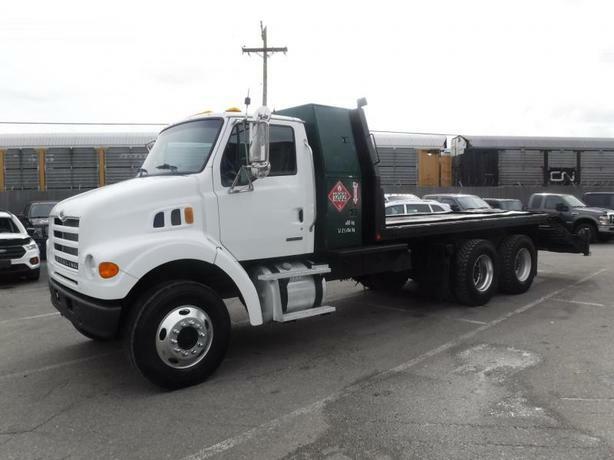 2006 Sterling LT7500 Manual 16 Foot Flat Deck Air Brakes, Diesel, 7.2L L6 DIESEL engine, Air brakes, 18 foot wheel base, 16 foot flat deck, plus the dove tail potion 6 foot 8 inches, 2 door, 6X4, eaton fuller transmission, certification decal expires May 2018, white exterior, gray interior, cloth. $25,930.00 plus $300 conveyance fee, $26,230.00 total payment obligation before taxes. Listing Report, Warranty, Contract Commitment Cancellation option on Fully Completed Contracts, Financing Available on Approved Credit (some limitations and exceptions may apply). All above specifications and information is considered to be accurate but is not guaranteed. Call 604-522-REPO(7376) to confirm listing availability.